spectrum+ is an exceptionally robust, powder coated galvanised steel style of equipment with a range of accessories in other materials. The main uprights are durable steel tube and the majority of the activities and components are of fully welded construction. 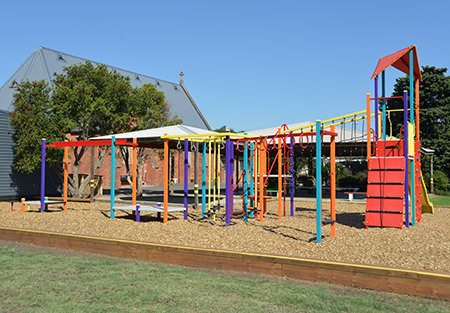 With carefully engineered component designs and vandal resistant fasteners, spectrum+ is ideal for both public and school playgrounds. 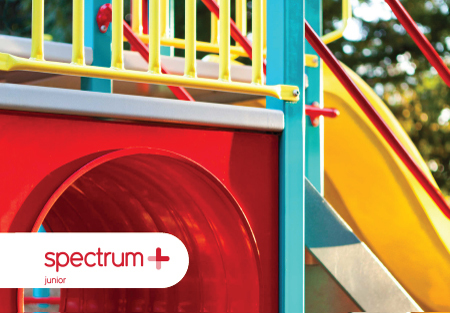 spectrum+ offers great potential to impart the required character to a playground through the use of colour on the extensive powder coated surface area available. Dynamic colours can be used for a bold and striking effect, heritage colours for a distinguished and stately image or earthy tones for a more subtle result. With an extensive choice of play activities, spectrum+ has a versatility which is really amazing, and designs can be adapted to suit vastly different applications. 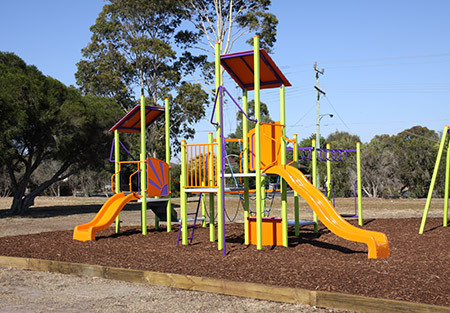 Special play units for either junior or senior age groups are possible, and they can be laid out in linear, circuit or irregular formations as required. Users with special needs can also be taken care of and wheelchair ramps and other accessible elements can be provided for their benefit. Play units that reflect a particular theme, such as a boat, train, farm…and so on can also be developed if required. 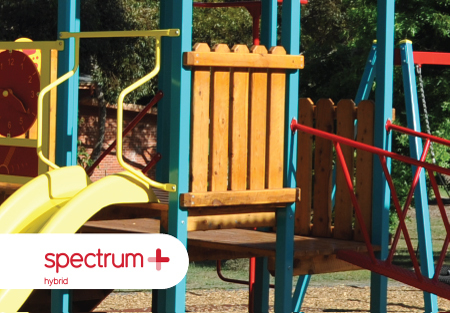 For a playground that combines durability, versatility and high visual impact, spectrum+ is the perfect choice!